Oronce de Beler, born 1978 in Paris decided to leave the city life in 2005 and moved to this ancient house in Vosne-Romanée. The house – Maison Roman – is an old house that dates back to the thirteenth century. Oronce has always been passionated about Burgundy and its different terroirs, so he followed his dream to make great, natural wines by creating his own small vinery in his old cellar. 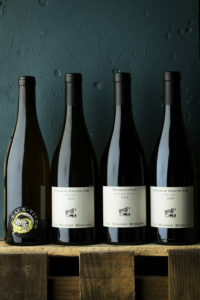 Oronce buys grapes from friends that farms organic and mainly biodynamic, but plows the vineyards himself with Prosper and Quatro, his horses. He works with quite a wide spread of sites, from Marsannay to Chablis, to be able to show the diversity of the terroirs. The vineyards consists mainly of old vines and the selection of fruit is really strict, nearly German. Oronce uses a small hand press for all wines. 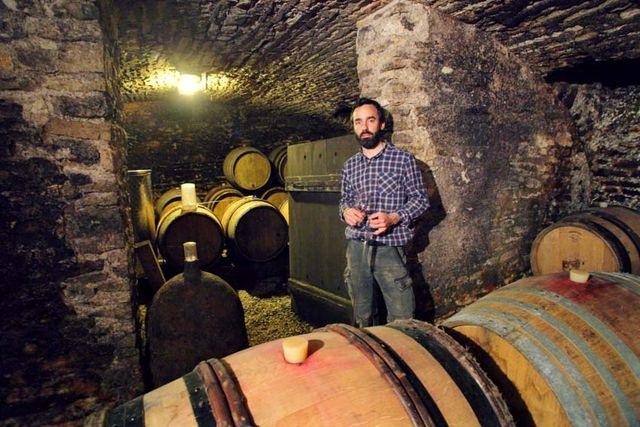 His cellar is small, there´s not much more then 10 barrels in there. The bottling is really carefully done – 2 bottles at a time (by turning a two-way tap) to ensure that only the best juice is bottled. Except from his horses, Coronce also has a bunch of Corsican Pigs from which he makes super good, natural charcuteries from. Hopefully we get to import some of that in the future. The reds are fermented in whole clusters to obtain finesse, a silky structure, dense fruit and fine aromatics. The whites have a deep fruit, fresh acidity and mineral finish. The energy in his Chablis is very high and intense. Soil: Kimmeridgian subsoils covered by a deep, clay-limestone topsoil full of tiny, fossilized oyster shells. Vinification: Direct press before fermenting, then aged for 18 months in old 228-liter barriques. After bottling these wines was left for continuous bottle ageing. We are very excited to be able to offer the older vintages that Oronce has aged in his cold cellar. Soil: Clay, limestone and chalk. Vinification: Direct press before fermenting. The must from 2013 is aged for 12 months on old barriques then blended with must from 2014 and aged together for another 14 months. Vinification: Whole cluster fermentation in open vats with some light punchdowns, then gently pressed by hand and aged in barriques (a small part new ones) for 18 months before bottled by hand. Vinification: Whole cluster fermentation in open vats with some light punchdowns, then gently pressed by hand and aged in barriques (a small part new ones) before for 18 months before bottled by hand. Vinification: Whole cluster fermentation in open vats with some light punchdowns, then gently pressed by hand and aged in barriques (a small part new ones) for 18 months before bottling by hand.